In nature, perhaps no other bond is stronger than that between a mother and her young. A mother feeds, nurtures, teaches, protects, and sacrifices to ensure the survival of her children. So for this we wish a Happy Mother's Day to all mothers, everywhere! 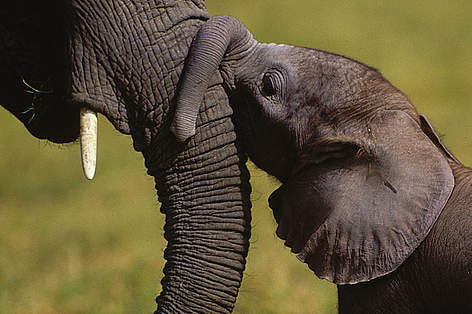 African elephant herds are made up of mostly females and are led by the oldest female - or matriarch. 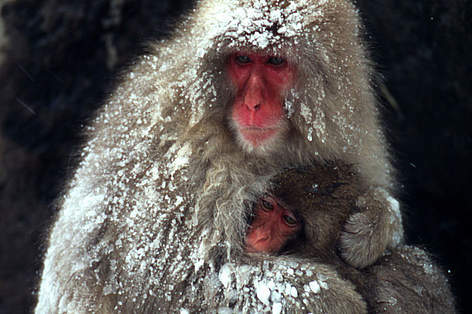 Mother macaque monkeys have been observed exagerating tool-using behaviour to teach their young. 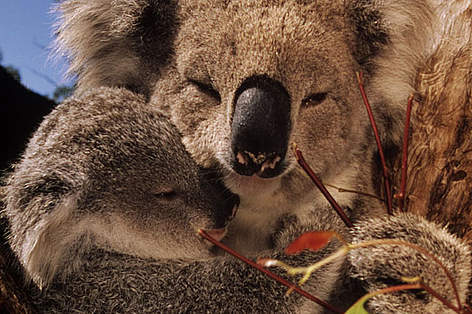 Like other marsupials the baby koala, or joey, will spend the first 6-7 months of its life inside their mothers pouch. 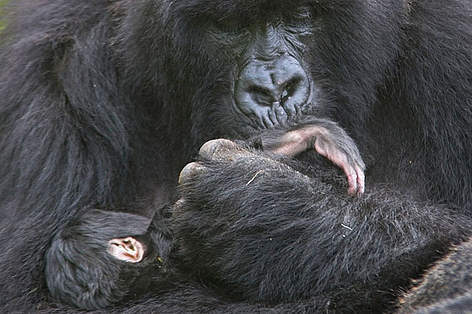 A baby gorilla will spend the first few months in constant physical contact with their mother. Female gorillas have offspring every 6-8 years. If threatened a baby rhino will run in front of it's mother. 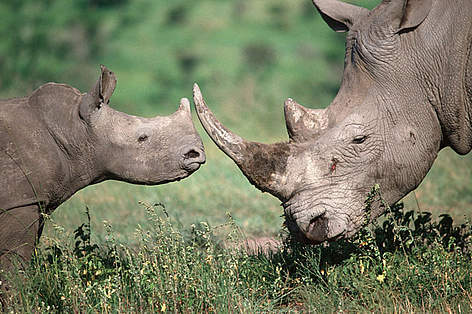 Young rhinos are rarely attacked due to the protectiveness of their mothers. Polar bear mothers typically have 2 cubs in each litter. The first months after the cub's birth is spent inside the maternity den that the mother digs out of the snow. 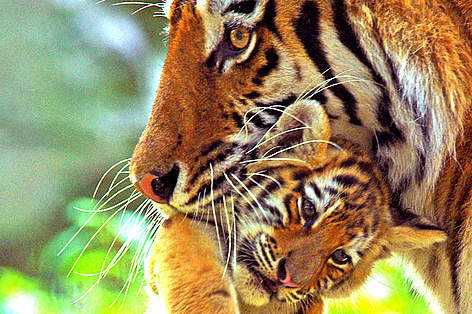 On average, tigers give birth to 2-3 cubs every 2-2.5 years, and sometimes every 3-4 years. If all the cubs die, a second litter may be produced within 5 months. 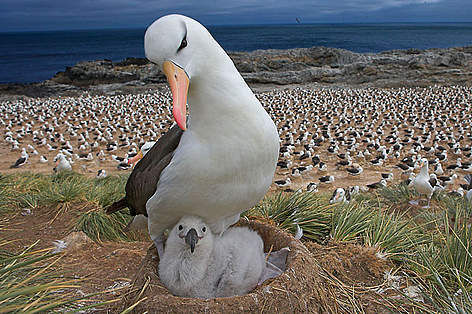 Both the mother and father albatross take care of the chick. They take it in turns to find food for their chick, often flying huge distances to do so. 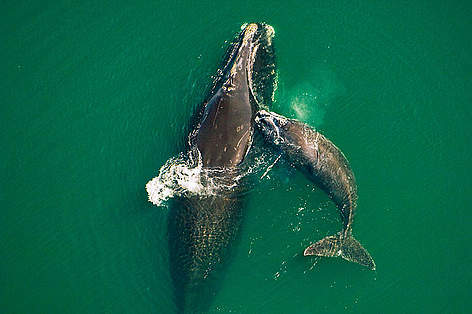 Right whale mothers and their calves display strong attachments, with the calf keeping in close contact with its mother by swimming up on her back or butting her with its head. 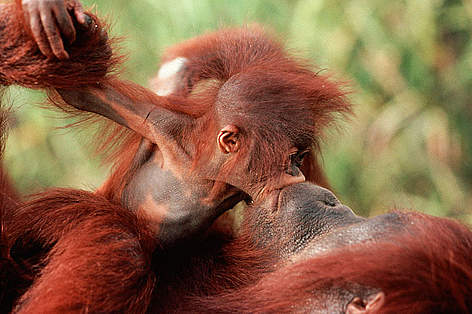 Female orang-utans typically reproduce at around 10-15 years of age and mostly give birth to a single young. This makes them vulnerable if there are increased deaths in a population.